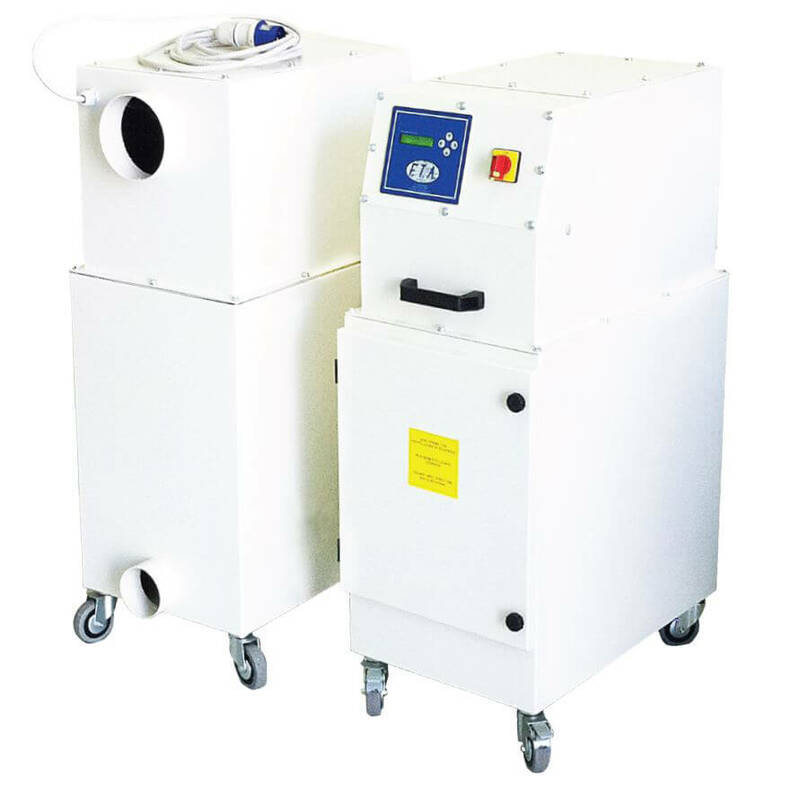 Why invest in a fume extraction system? The fumes produced by industrial processing can affect people’s health and safety. For example, in industrial laser cutting systems, the laser processes generate dangerous vapours, gas, particles or aerosol, depending on the type of laser and services. Local and international legislation on health and safety (like COSHH, NIOSHH, OSHA etc.) states that it is the employer’s responsibility to preserve the health, well-being and safety of their employees. Many types of dust and fumes are extremely dangerous for human health if inhaled. Continuous exposure, even to small amounts of fumes and fine dust, can cause asthma attacks or other respiratory diseases. This is why it is vital to invest in a high-performance fume extraction system. F.T.A. 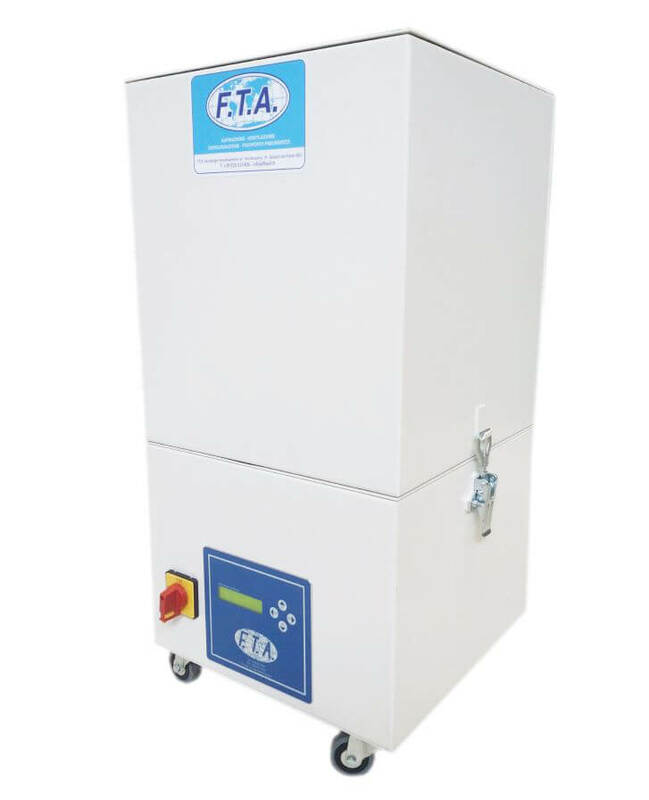 purifiers have been designed around reverse flow operation. 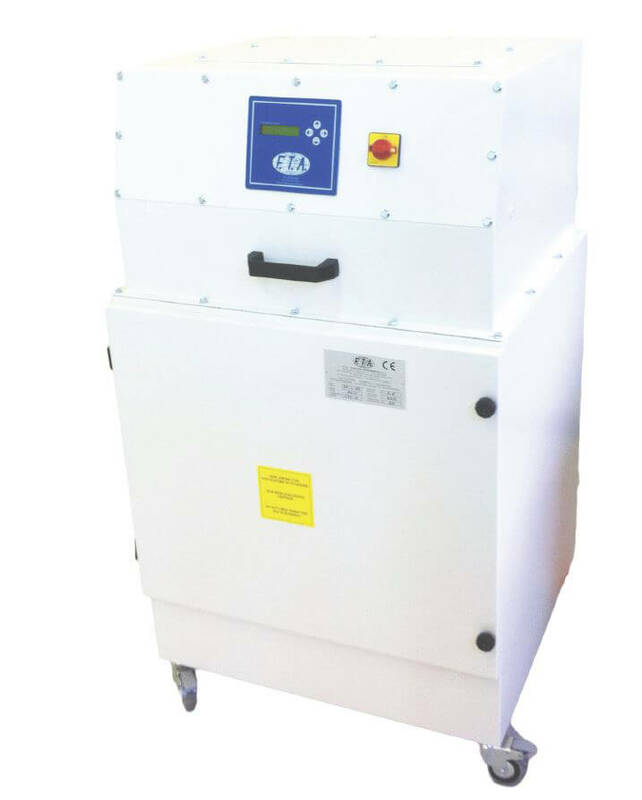 As the contaminated air enters the filter chamber, the speed is drastically reduced enabling larger particles to fall to the bottom. 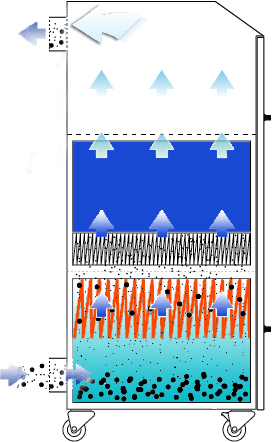 Smaller, lighter particles are held in the folds of the filter which enables use of the larger particulate to fall from the filter surfaces into the drop-out chamber in the filter housing bringing greater efficiency and much longer life to the filter area. Typical applications: Marking on metal and alloys; thermoplastic materials excluding PVC. Typical applications: Marking on metal and alloys, thermoplastic materials excluding PVC, centralised systems with different markers. Typical applications: Marking, cutting, rubber stamp incisions, PMMA, synthetics, paper etc. excluding PVC. DE-L-40b fittings: Mono phase 220 PLUG WITH 3 m POWER CABLE, WITH DIFFERENTIAL PRESSURE SWITCH WITH DISPLAY TO CHECK FILTER BLOCKAGE AND COUNTER WITH BRUSHLESS MOTORS FOR DEMANDING APPLICATIONS. Typical DE-L-40b applications: The DE-L40b is differentiated from the DE-L 40 by the motor fan unit consisting of brushless motors for demanding applications and continuous operation. Typical applications: Max power stage, rubber on stamps, PMMA, synthetics, paper etc. excluding PVC. Typical applications: Marking, cutting, incisions with work tables of about 700 × 1000, rubber for stamps, PMMA, synthetics, paper etc. excluding PVC. Typical applications: Marking on metal and alloys, thermoplastic materials, centralised systems with different markers. The filter-separator cartridge is specially designed to considerably extend the useful life of a downstream extraction and filtering system. 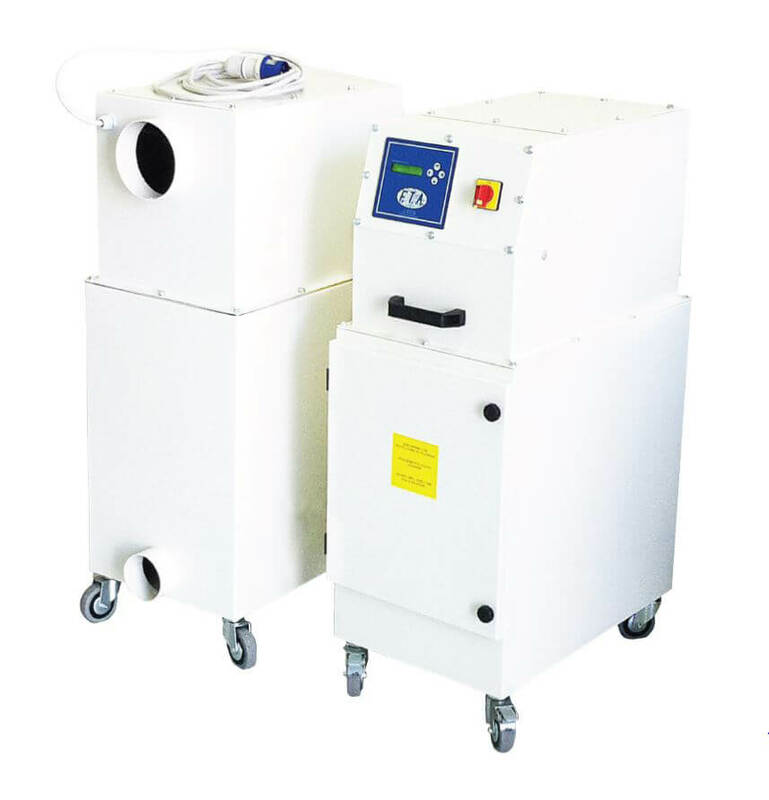 The system is fitted with washable filter cartridges that allow the accumulation of dust to remove from the filter with jets of compressed air. 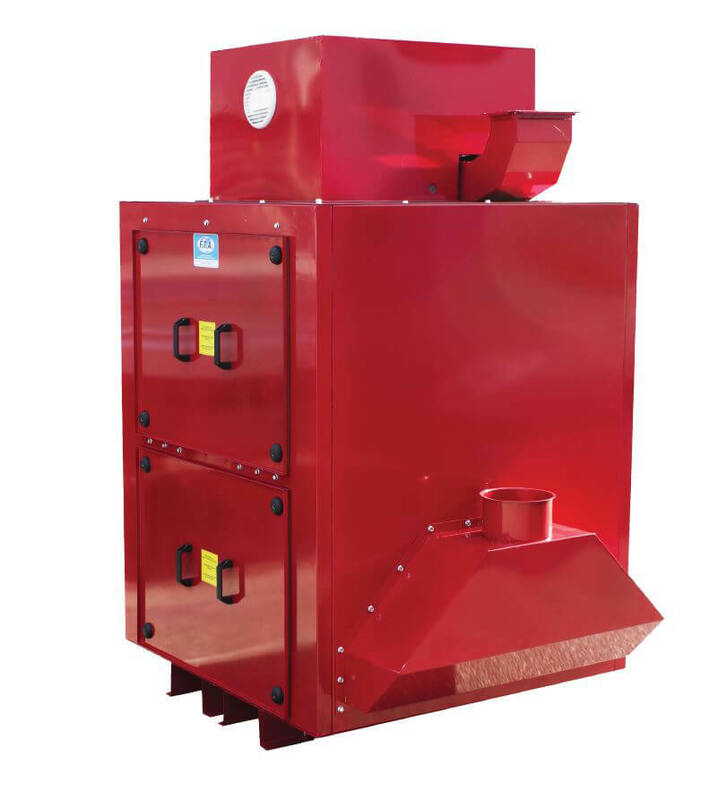 Thus the device is specially suitable for applications where large amounts of dry dust are extracted. 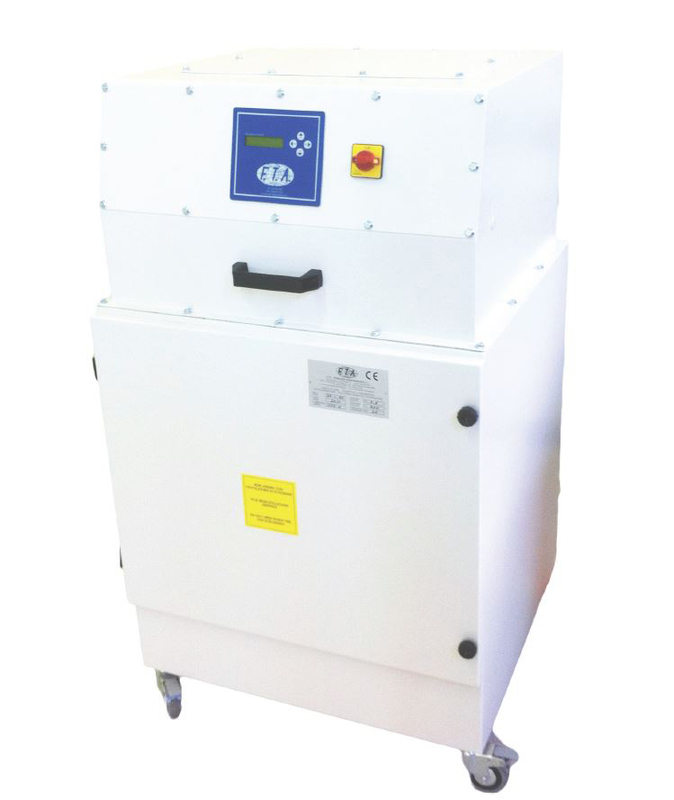 The optional cleaning control unit also allows the system to be flexibly integrated into the overall system. A pre-coating of the filter cartridges also enables glutinous substances, like those produced during the laser processing of plastics, wood and rubber, to be extracted. Decentralised set-up for multiple work stations. The contaminated air is accumulated by the collection unit (extraction hood, extraction arm, hose etc.) and conveyed directly or through a flexible hose in the pre-filter separator cartridge. The dust particles are filtered by washable filter cartridges in the pre-filter cartridge and are cleaned by jets of compressed air integrated through an automatic cleaning system. 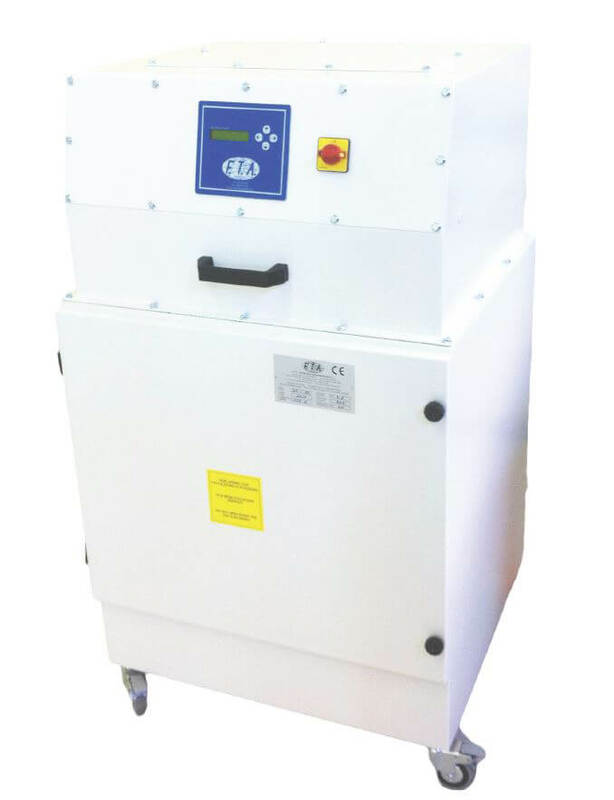 The filtering particles are collected in a dust collector for easy disposal. If necessary, a bag for the dust can be inserted for low contamination disposal. The air is subsequently conveyed into an appropriately sized extraction and filtering system.